Drying fruits and vegetables is one of the best ways to preserve them – especially if you’re running out of ideas for your garden harvest that’s still coming in. There are several methods you can use to dry fruits and vegetables, most of which take very little time and effort. Air drying involves drying on a screen of some sort, perhaps in the sun, or hanging on strings to dry. I remember my Grandmother stringing apples that she had cored (I can’t remember if she peeled them or not) and drying them for later use. Then, during the cold winters, she’d make “Dried Apple Pie” by reconstituting the apples in warm water and using them like fresh. We couldn’t tell the difference! If you will be stringing food to hang, remember to use a natural cotton twine or something similar. Keep in mind you will be eating these items, so you don’t want to have any chemicals or dyes on the string. To dry on a screen, use a new window screen or make a screen from wood slats and screening. I place mine on four bricks, one at each corner. When the food is done drying, place it in a jar and cover tightly. If you are sure there is no moisture remaining, you can store the dried goods in a pantry or cupboard. If you don’t get all the moisture out mold can grow, so freeze anything if you are not sure it’s completely dried. You can also place your screen in a DIY solar dehydrator. It’s easy to build and small enough to store. Place whatever you want to dry on a cookie sheet. If it’s sticky, like peaches, I use a layer of non-stick silicone baking mat – nothing will stick to it. Cook your roast (or whatever is on the dinner menu), then shut off the heat on the oven. After everything is out of the oven, slide in the pan with the items you want to dry and leave until the oven is cool. You may need more time, but nothing will burn this way. I use my dehydrator a lot. There are many good electric dehydrators on the market in all price ranges. This brand consistently gets recognized for being one of the best, and they offer models with stainless steel trays instead of plastic. You can also rig up your own electric dehydrator using a low wattage light bulb and something like the screen mentioned above. This is a bit different as it uses a heat source instead of relying on the sun. When I set one up in the past I used a terra cotta block, a light bulb, and a screen. Place the bulb in the hole in the block and lay the screen on top. (The block I got was used for a chimney insert, so it was quite long, more of a tube.) The heat traveled up the block to the screen above and also penetrated the block itself, keeping it warm. The food should be covered if possible, so I tented foil over the top (so that it never actually touched the food) and used it to contain the heat. It took a day and a half, but the celery and onions I dried came out crisp and dry. 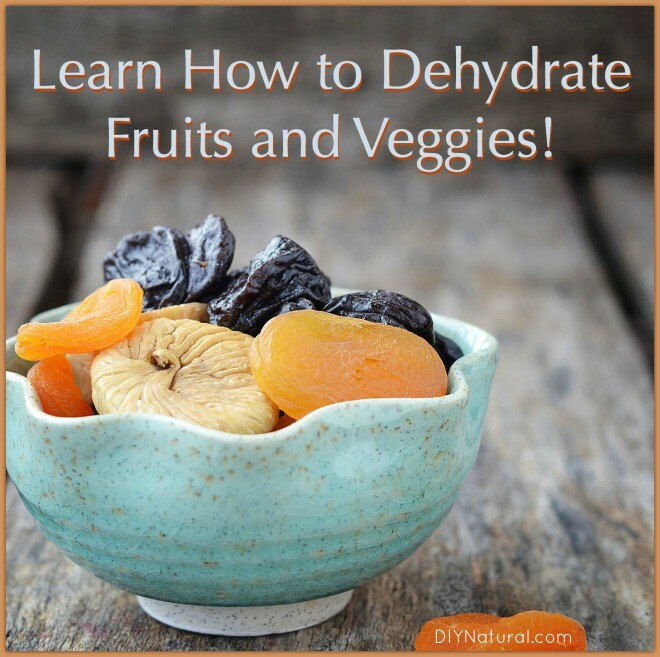 Dried fruits can be eaten as is or can be reconstituted by placing in warm water. They will never be exactly the same as they were fresh, but will be quite usable. And it’s good to remember that the sugar content will be much more concentrated, so you may want to adjust the sweetness level in your recipes. Dried veggies can be stored for long periods of time and take up much less space than fresh. When you reconstitute them, remember they will take up twice as much space, so plan your pot accordingly. I’ve used an extra large pan for soups and such because dried veggies seem to “grow” quite a bit. Have you ever dried fruits or vegetables to use later? Tell us how you did it! authorities on herbal medicine and pure approaches to ladies’s health. Typically the antibiotic (also known as Accutane) minjimizes the volme off the skins oil getting made. much. t pick, pop or squeeze, or otherwise mess with your skin. up drying the pustules and creating wounds on the skin. Click on the download link, andd let the program completely install. I have an alcohol oror and a bad preference. Ӏ LOVE Sienna Pacific labels. Wow. I think I will have a little talk with my husband to see if I can convince him to join me in making this one of our fun projects. I didn’t realize it was this simple, thank you.